The Blanche and Charles projects covering 162 km2 are 100% owned. 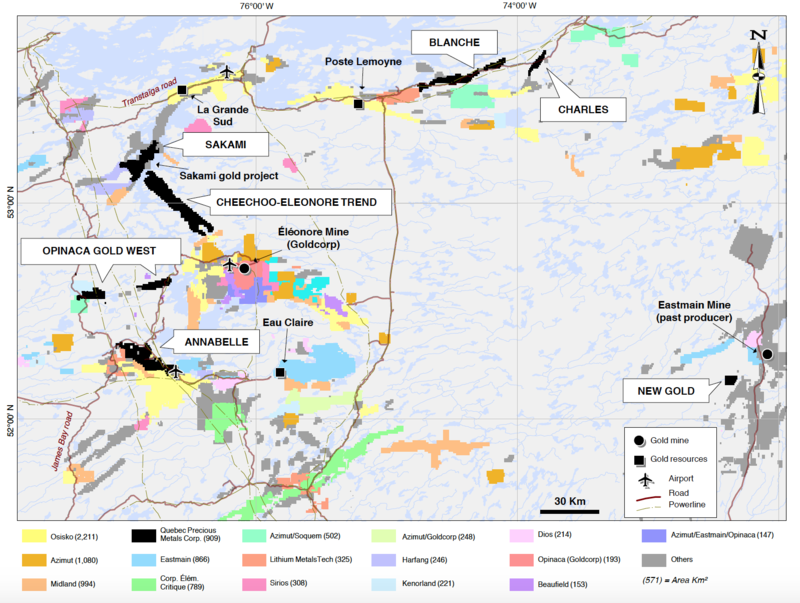 They lie approximately from 120 to 150 km northeast of the Éléonore mine. They are covered by the volcanic-sedimentary rocks of the La Grande geological subprovince.